Mt. 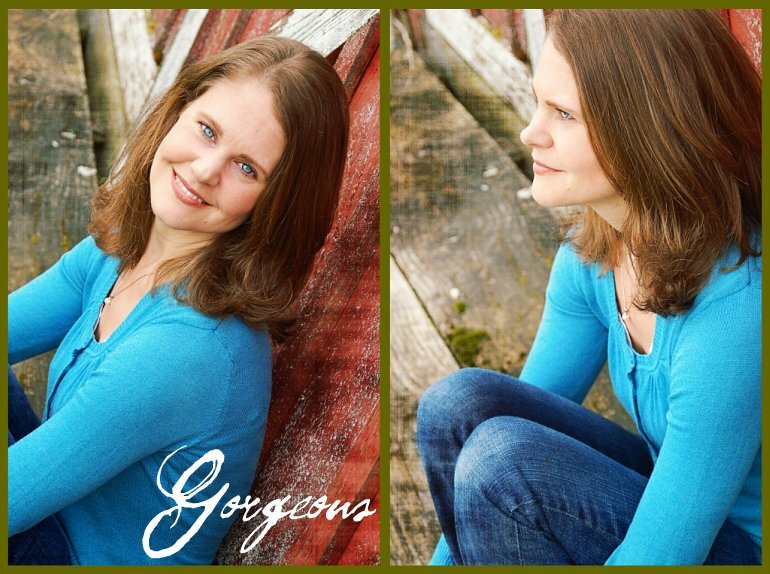 Hope Chronicles: Hello, Gorgeous! If anyone has wondered where Ilex gets her beauty, look no further. Meet Holly, my 'big' sister. (She just happens to be half my size...) Holly needed a new profile picture for her facebook page. I don't need to be asked twice. I took about seventy pictures, deleted only about 3, and had an impossible time deciding between the remaining 67. I had to share a few, of course. Holly is super-mom to three great kids. She lives in a beautiful old family farm house in the country. She cooks. She gardens. She homeschools. She does day-care in her home. She makes her home lovely. I don't think she sleeps much. I almost didn't know what to do with an adult who stood or sat where I told her, managed to remain still and look in a specific direction, and could smile or look serious when asked. I'm loving this photographer gig! 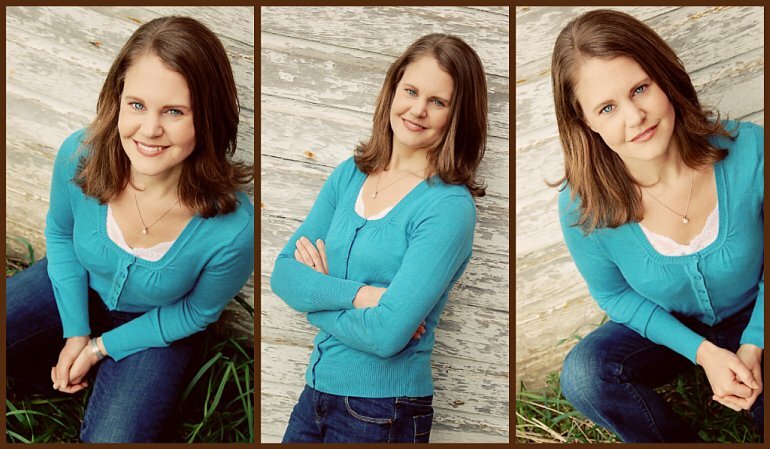 Anyone (in my geographical vicinity) need a profile photo or portrait? If you want to come to WA I could really use a few pics of me on facebook! 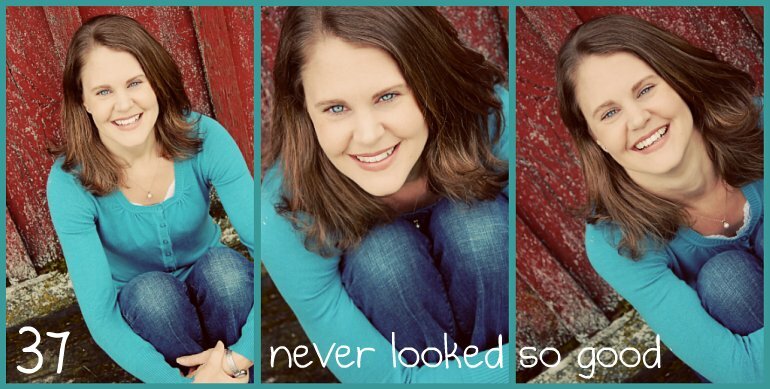 Beautiful photos and beautiful sister, Heidi! THose beautiful blue eyes must run in the family! Wow. Great work, Heidi!!! How is Holly ever going to choose just one for her profile?!? I do! I'm in Hillsboro. If you were serious I would definately be interested in you taking my pic. I think I live nearby, in Jefferson. Let me know. Albany! Wow, you're right next door! Diana~ I don't have a way to contact you... would you mind emailing me at heidi (at) poetsgarden (dot) com. She looks 17 not 37! All those gorgeous blue eyes in your family:). Really lovely! Tera~ You're on my list. :) Besides, we need to meet up anyway, right?! Gorgeous pics! I just love visiting your blog to see what you've come up with next! Your work is amazing and Holly is beautiful!